Over 80,000 Brits sign up for Help to Save: are you eligible for the bonus? Savers could earn up to £1,200 in government bonuses from the Help to Save scheme – but four months after launch, millions may still be missing out on a free savings top-up. First introduced nationwide in September 2018, the government’s Help to Save program offers account holders a 50p bonus for every £1 they save. But while the scheme targets millions of low-income workers, HMRC figures reveal that just 80,810 have signed up so, barely scratching the surface of those who are eligible. Read on to find out how Help to Save works, and whether you could join those who have saved so far. Who is eligible to use Help to Save? entitled to Working Tax Credit and receiving working or Child Tax Credit payments. Based on these criteria, an estimated 3.5 million people are eligible to sign up. This means that four months in, only 2% of the scheme’s potential savers have opened accounts so far. Help to Save was trialed in January 2018, with the full launch coming last September. This week, the government added a Help to Save function to the HMRC app, which may make it accessible to more people. It may also be that Help to Save will take a little longer to be adopted, as those with low incomes may have limited money to set aside in a savings account. Unlike most savings accounts, the Help to Save account does not offer interest. Instead, you receive sizeable “bonus” from the government, linked directly to what you save. You can deposit up to £50 a month in a Help to Save bank account. At the end of the first two years, you will receive a bonus amounting to 50p for every £1 you have saved – effectively a return of 50%. After two more years, you will receive another bonus, again of 50p for every £1 you paid in since the first bonus. The account will close after four years. If you save the maximum of £2,400 over the four-year period, the government will pay you £1,200, leaving you with a total of £3,600. Bonuses are paid into a separate account, so they do not count towards your savings limit. Help to Save accounts are limited to one per person – after the first four years, you won’t be able to open a new one. Is Help to Save the best savings account for me? If you’re eligible for Help to Save, the account will offer you some of the best returns available compared to a normal savings account. Say you started with £2,400, the maximum amount you’re able to invest in a Help to Save fund. If you were to put the full £2,400 into the best-rated four-year fixed-term account, the maximum interest you could earn would be 2.5%. By the end of the fourth year, you’d have earned £240 – bringing your total to £2,640. This is well below the £3,200 you could have accrued over the same time frame with Help to Save. In addition, a fixed-rate account would require you to deposit the full amount upfront, whereas Help to Save allows you to build your nest egg gradually over time. That said, the Help to Save account will only yield rewards every two years. If you think you’ll need to withdraw the money before then, this account may not be best for you, as you won’t benefit from any interest at all. Moreover, once your Help to Save account closes, you’ll have to deposit your savings elsewhere, so it isn’t an account you can stick with long-term. 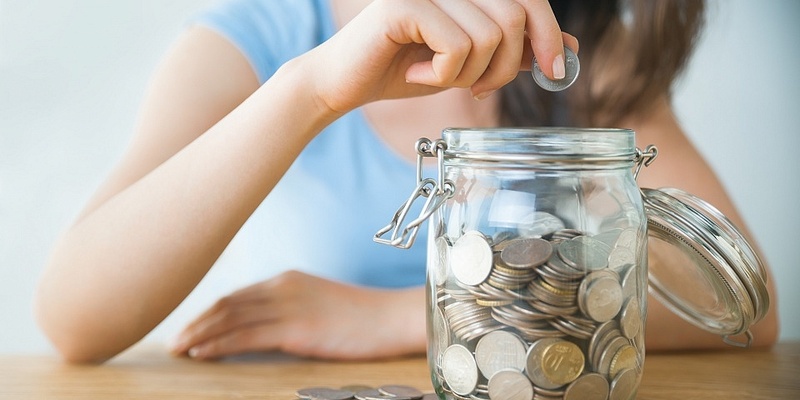 Help to Save: are you eligible? What are the different types of savings account?